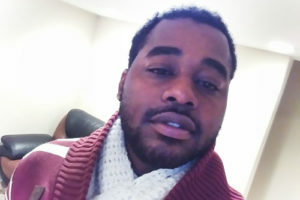 25-year-old Earron Moore fatally shot in East Garfield Park; 'His heart was a big as he was,' brother says | Homicide Watch Chicago | Mark every death. Remember every victim. Follow every case. Earron D. Moore, a UPS Airlines employee and aspiring entrepreneur, was killed in a drive-by shooting in the East Garfield Park neighborhood Tuesday morning. 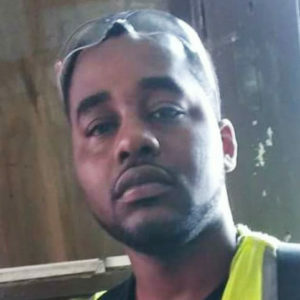 At 10:16 a.m., Moore, 25, was standing near the street in the 700 block of North Lawndale when someone fired shots at him from a passing vehicle, according to police and the medical examiner’s office. Moore was shot at least once in the back and taken to Mount Sinai Hospital, where he was pronounced dead at 1:57 a.m. Wednesday, authorities said. Moore had attended Orr Academy High School, according to his Facebook page. He lived in the University Village neighborhood on the Near West Side. “My brother was passionate about everything he did. His heart was a big as he was,” Moore said. Moore and his brother inspired each other to believe they could improve their lives, according to Eriq Moore. “Earron was one of the few guys in my life who believed in my dreams,” he said. They were communicating by phone in Moore’s dying moments. “I was talking to my brother in the midst of him dying. We were joking,” he said. To keep up his brother’s spirits, Eriq Moore joked about the hat he promised to return to his brother.